Thinking Through the Arts draws together a number of different approaches to teaching young children that combine the experience of thinking with the act of expression through art. Developed as an inclusive, broad-ranging and user-friendly text, Thinking Through the Arts presents the unique insight of teachers as researchers, and counters the view that art is emotionally-based and therefore irrelevant to thinking and learning. The areas covered include drama, dance, music, arts environments, technologies, museums and galleries, literacy, cognition, international influences, curriculum development, research and practice. 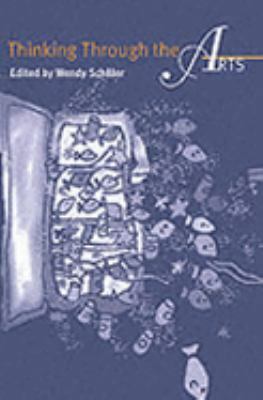 Early childhood and primary teachers and students alike will find this book is an invaluable source of new insights for their own teaching.Schiller, Wendy is the author of 'Thinking Through the Arts', published 2001 under ISBN 9789057024962 and ISBN 9057024969. Loading marketplace prices 58 copies from $19.42 How does the rental process work?